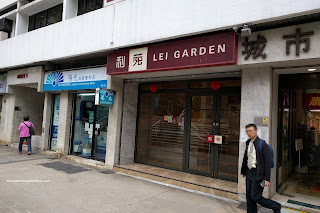 Although there is more Dim Sum to come during my stay in Hong Kong, our first one (remember, the previous one was in Macao) would be at the Michelin-Star rated Lei Garden. To me, it seems like they throw that designation around like free newspapers in Hong Kong (ie. 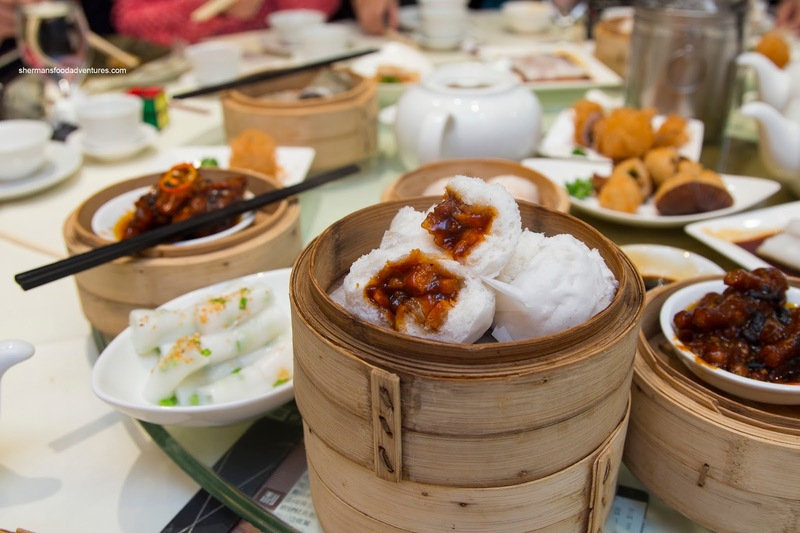 Tim Ho Wan). However, I went in with reasonable expectations despite this. The reason we were here was because this was to be a family (my HK relatives) Dim Sum meal which was close to everyone. 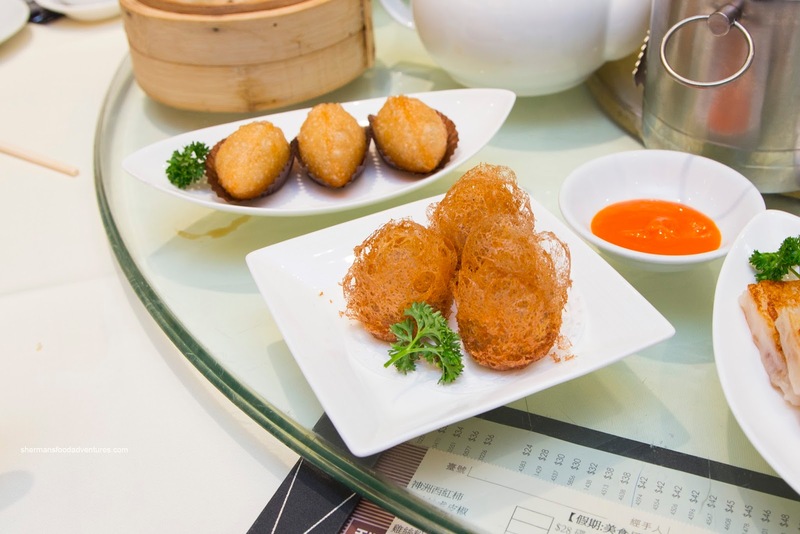 Right off the bat, we started with some fried items including the Fried Glutinous Dumplings and the Wu Gock (Deep Fried Taro Dumplings). The glutinous dumplings were small and lightly crunchy. This was due to the thin layer of glutinous rice. 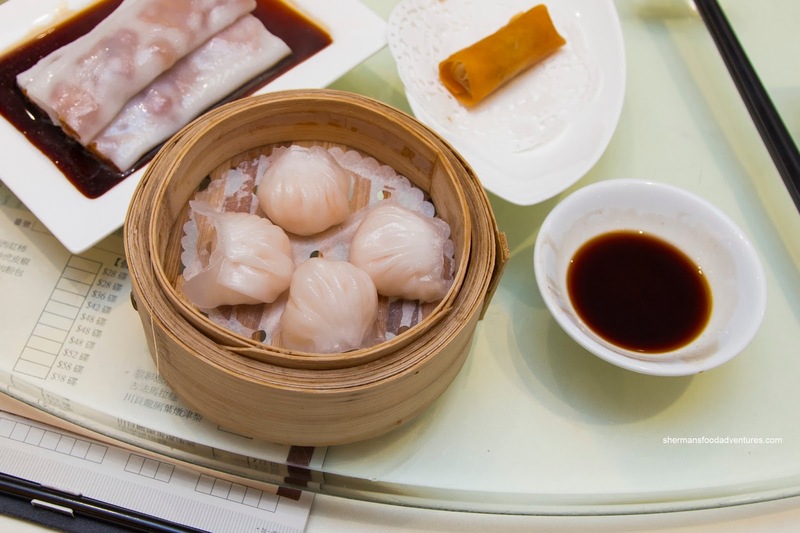 It was not greasy, which is no minor feat for this dish. The filling was full of tender pork, but there was too much onion. As for the wu gock, they were crispy, yet the layer of taro was rather mealy. It was also not greasy. Inside, the lean pork filling was nicely sauced and was mild tasting. For the kiddies, they really enjoyed the BBQ Pork Buns as they featured a very thin layer of bun. It was on the chewier side though, yet held up well to the ample amount of lean and tender pork. The rich hue of the glaze was appealing and also was very flavourful with a depth of sweetness balanced by an equal amount of savouriness. 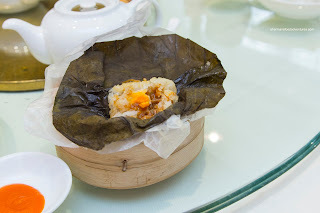 The Lo Mei Gai (Sticky Rice) was a little dry, but the 50/50 ratio of rice and filling balanced things out. The tender ground pork as well as a nice chunk of salted egg yolk meant there was some nice flavours going on. 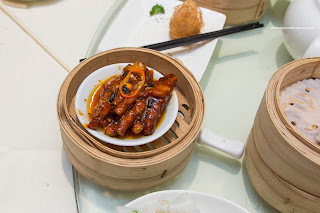 Onto some standard Dim Sum dishes, we had the Beef Meatballs and Phoenix Talons (Chicken Feet). We found the beef meatballs to be on point with a bouncy rebound texture. The meat was processed until smooth, so there were no chewy portions. They were seasoned properly where they could be eaten without the Worcestershire sauce (but we still used it). Also, there was just enough greens so it was balanced. The chicken feet were buttery on the outside, but a bit firm underneath the skin. It was full-flavoured and garlicky albeit a bit salty. Looking like it may need a bit more sear (although it was still seared enough), the Lo Bak Goh (Daikon Pudding Cake) was tender and fluffy. 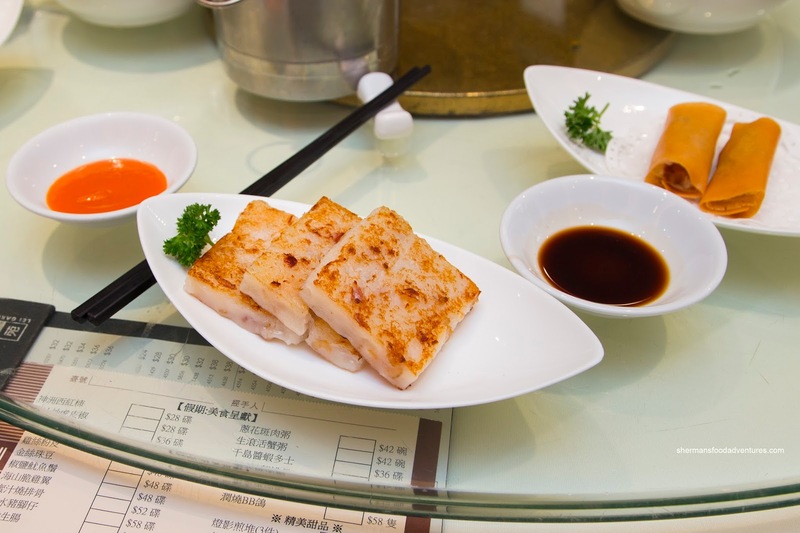 There was a wealth of natural daikon flavour as well as being well-seasoned. In addition to needing more sear, I would've liked more cured sausage to vary the flavour and texture. 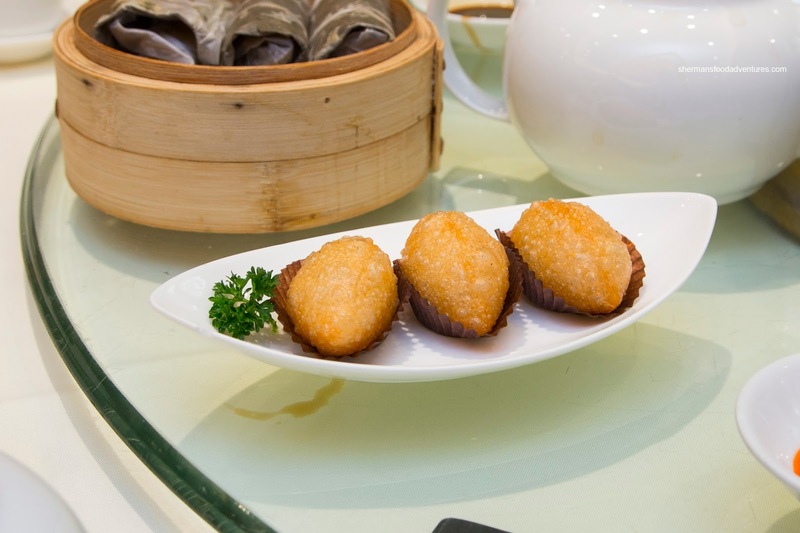 Coated with a thin and light batter, the Fried Squid was pretty good. Each piece was lightly crispy and easy on the grease. Furthermore, there was plenty of saltiness for impactful flavour. The squid itself was tender while retaining an appealing chewiness. Continuing with fried, we got multiple orders of the Spring Rolls because we had a multitude of kiddies as the table. 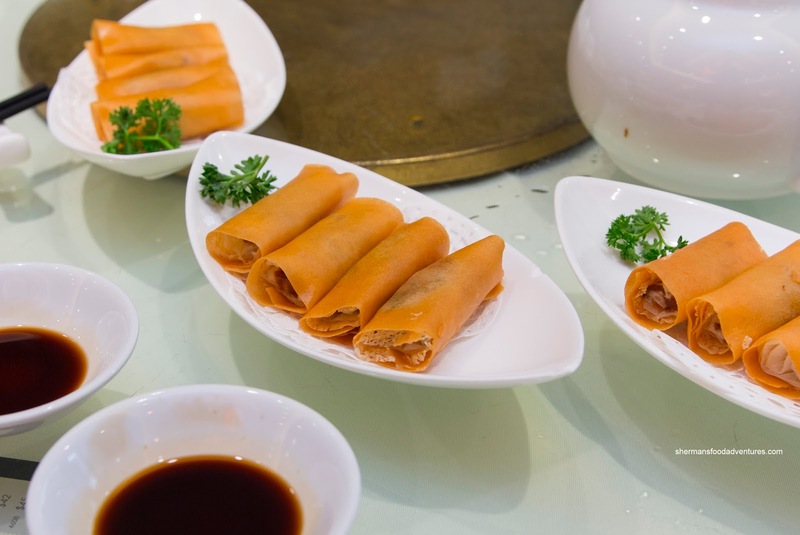 These were no ordinary spring rolls because underneath the crispy outer wrapper, there was another layer of crunchy noodles. The filling was also an interesting combination of crunchy celery and bouncy well-seasoned shrimp. 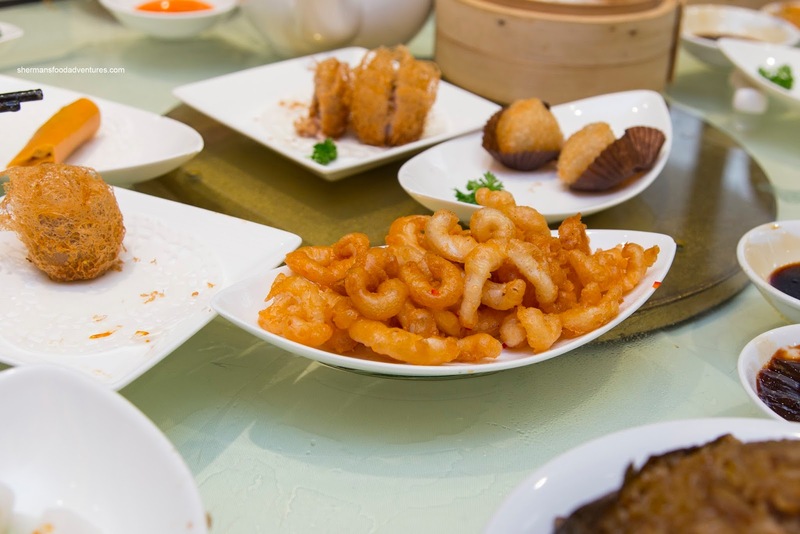 That same shrimp could be found in the excellent Ha Gau. These featured a thin chewy elastic skin. Inside, the shrimp was the desired texture where there was a buttery snap. The seasoning was just right being balanced with a hint of sesame oil. Onto some Rice Noodle Rolls, we had both the vegetarian version as well as the BBQ pork. Guess which one I enjoyed more? Since I'm a meatatarian, the lean slices of pork were up my alley. Moreover, the rice noodle itself was thin and beautifully textured. It was soft while retaining a chewy elasticity. Interestingly, the vegetarian one was much softer. 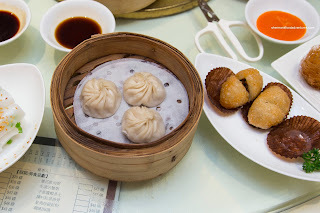 Again, for the kiddies, we ordered something that was somewhat of a risk being the Xiao Long Bao. 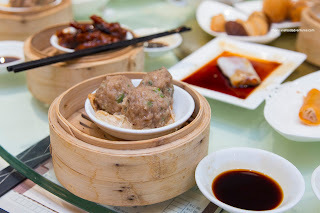 Okay, these were pretty decent for a Cantonese Dim Sum service. 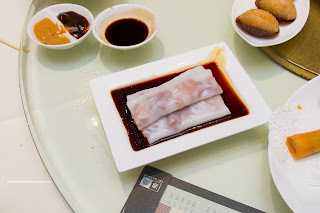 The skin was a touch thick, but actually quite good while the filling was moist and flavourful. There was some soup to be found too. As a filler, we got the Ho Yip Fan (Fried Rice in lotus leaf). This was very good featuring tender rice that was not soft (still nicely chewy and aromatic). 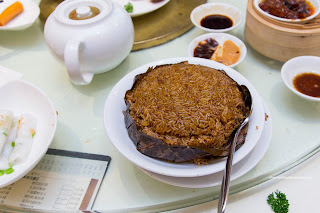 The flavour of the lotus leaf had impacted the rice in a good way as well as the brininess from the dried scallops. Loved how it wasn't too salty either. 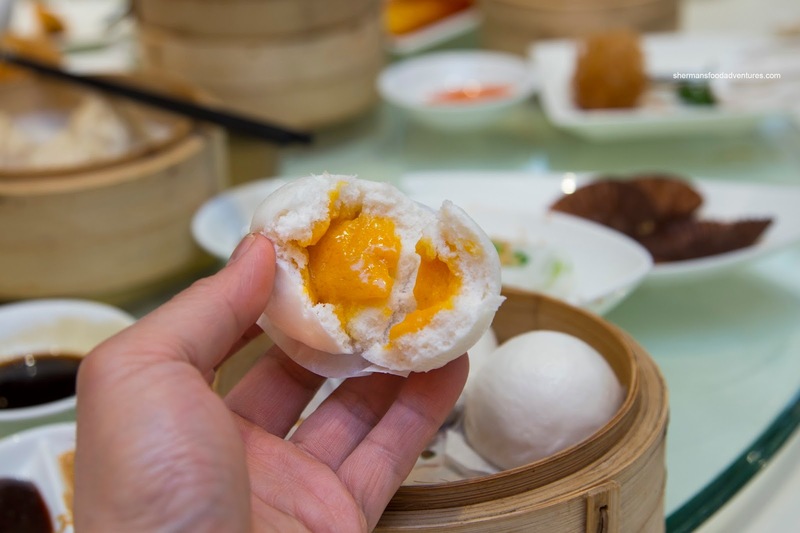 For dessert, we had the Custard Buns sporting a silky salted egg yolk centre. It was sweet and runny and encased in minimal bun. 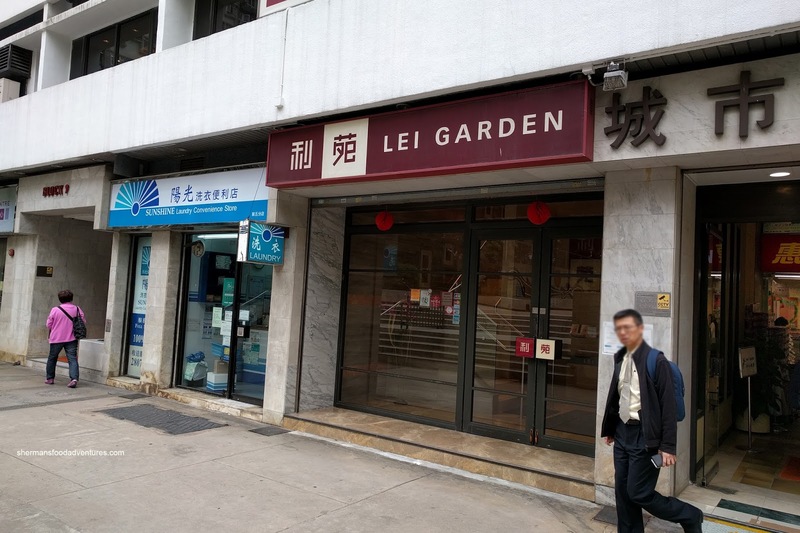 Overall, we enjoyed the dim sum at Lei Garden, it was high quality and carefully prepared. However, the service wasn't up to par though as it was not very attentive.